Express yourself on the internet and launch a new stylish website design to promote your business in architecture. 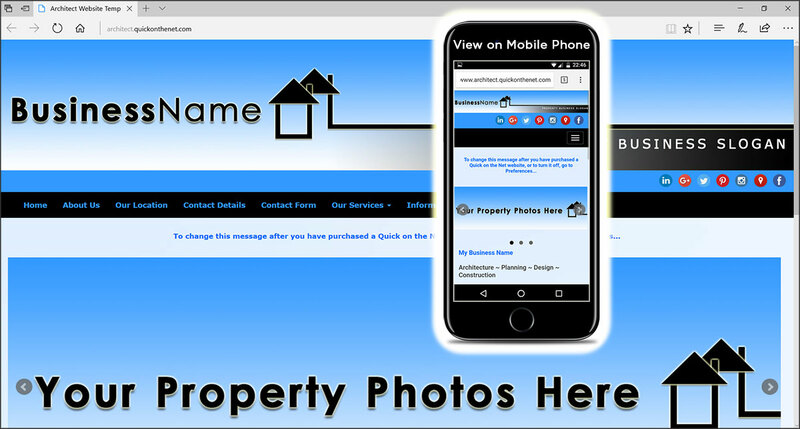 To help you get started, we have presented this website in a minimalist design with a bright blue colour scheme, complete with a modern property logo. However, this is just the starting point and this website can be rebranded to meet the needs of your company. As an architect, creativity is paramount and this should be reflected in your business website. Upload your business logo, change the colour scheme to suit your design requirements and then add your own contents and company information. To put you on the fast-track, the website is pre-loaded with a collection of menu buttons for your architecture business. The menu buttons can be renamed and modified according to your needs and the site graphics can be replaced with your branded images and photography. You can also upload your own branded images, to be used as menu buttons.